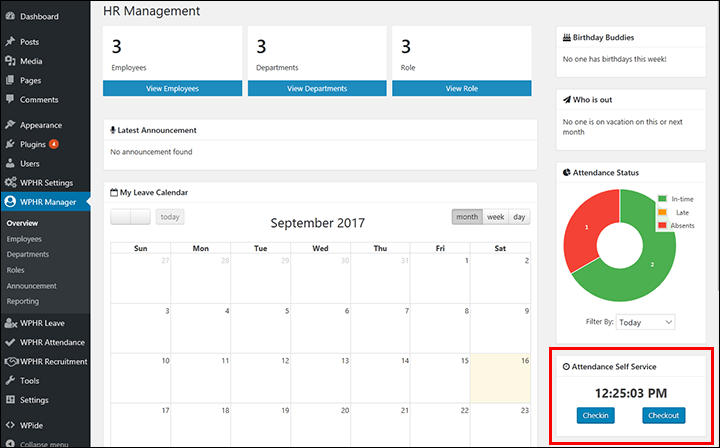 In you are using Shifts, the employee can only check in or checkout if there is a shift assigned to them. After a successful check-in, your employee gets a success message. 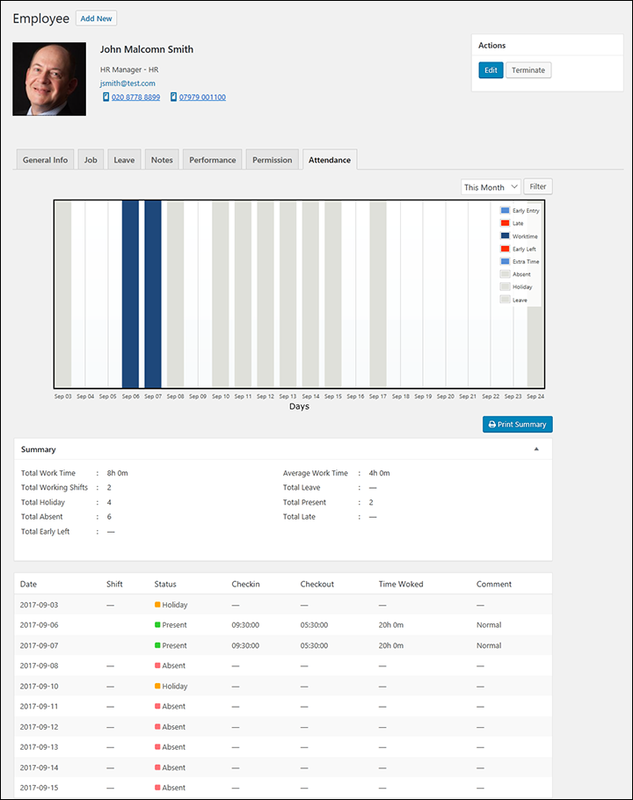 Both employees and also HR managers can view employee attendance status record from the employee profile page.